hd00:16An adult bear leaving his cage accompanied by his cub. Stockholm, Sweden. hd00:24Mother and cub sit in the eucalyptus tree. mother is carrying the cub on her back. 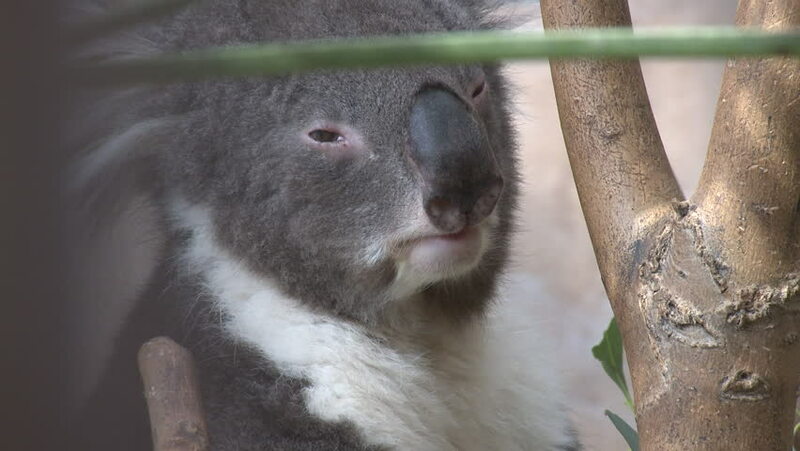 hd00:19A Koala lazily looking at the viewer and going back to sleep. Medium Shot. hd00:16The capybara is on a straw with a wooden edge surrounded.